It's important to understand the use of color when you're an artist--whether you're an illustration artist, a graphics artist, etcetera. This will be pretty easy to understand. It's very basic and easy to grasp. Let's start with taking a look at the color wheel. See how each color is labeled "Primary," "Secondary," and "Tertiary?" The Primary colors are RED, BLUE, and YELLOW. All natural color comes from these three colors. Meaning, you can mix the three in order to get any natural color you desire. No colors mixed together can make the primary colors--they can not be broken down into color mixtures. Secondary colors are colors made by mixing together two of the three primary colors. Example, YELLOW and BLUE make GREEN, YELLOW and RED make ORANGE, and RED and BLUE make VIOLET. Tertiary colors are made by mixing a Primary and Secondary color together. (they are the 'in-between' of the Primary and Secondary colors). They are named as both the colors hyphenated. The Primary color always comes first in the name. Complimentary colors are "opposite" colors on the color wheel. Every color has one. Using complimentary colors in a piece creates the sense of busyness, high-contrast, focus, exaggeration etc. When complimentary colors touch, the high contrast in color makes it look like there is a thin line between them that sort of "glows," (as your brain percieves it). It's hardly noticable. That glow effect can happen with colors that are just on the other side of the color wheel, but not necessarily only complimentary colors. As you can probably see, primary colors ONLY pair with secondary colors, and tertiary colors ONLY pair with other tertiary colors. Analogous colors are the colors that are right beside eachother on the color wheel. They tend to blend well together, and do not create a sense of busyness because they flow together. Some examples are blues and greens, yellows and oranges, etc. Warm colors are colors that create a sense of warmth, while cool colors do the opposite. Not ALL colors are considered warm or cool, as some could go both ways. Yellow: More commonly used as a warm color, but can also be a cool color. Violet: Can be used as either warm or cool. 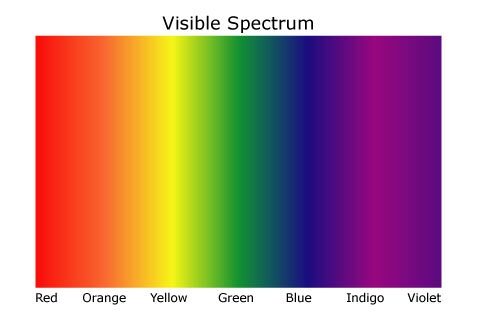 Everyone associates or ties color with feelings; it's only natural, and it can be different for everyone, but have similar bases. Earth tones are made by mixing the primary colors and adjusting the amount of each used to make browns and yellows. Value is the scale of lightness and darkness. Pure colors are not of all the same value. For example, a pure yellow is a very bright color while a pure blue is a very dark color. If you're painting, begining a painting in grayscale is a very good idea. It allows you to focus of value first, without color messing up your sense of lightness and darkness. It also makes for a good underpainting (This way, the canvas or surface below does not show through at all). It also makes your colors more rich. You can ALSO dull colors by mixing complementary (opposite) colors. For example, (in paints) if you mix a little purple into a lot of yellow, it dulls the yellow so that it's more rich and thick in color. It's also a smart idea to a shade a little with complementary colors. Using black to make a color darker shouldn't be the first thing you try. If you're dulling or darkening a yellow, I stress that you do NOT use black or gray. That goes for painting AND digital art. Black and gray makes a nasty green tone in yellow, so I thoroughly suggest you instead, use other colors like purple, or dulled orange to make a yellow look darker (if you don't want it to look green). Otherwise, if you want to make it green, I suggest using a dulled green to darken--not Black or gray, still. Colors with added whites are called Tints, while colors with added grays or black are called Tones. Tones can be made even without the use of gray, but also dulled colors as well are considered tones. Contrast of value works in almost the same way as contrast in color. The gray bar in the middle contrasts with the the lightest and darkest grays as well as black and white. It blends close to the other grays on the middle. Since the gray bar in the middle isn't one of the grays on this chart, it doesn't blend perfectly with any of these grays. Otherwise, it would be the 6th gray on the chart. (It's lighter than the 5th gray, and darker than the 6th). A lot of people tend to have trouble with understanding skin tones. They are much like earth tones, and contain Red Blue and Yellow. Lighter skin tones generally have more red and yellow, and have a lot of white (the white desaturates them, and makes them brighter; they become more "tints" rather than tones). There are many, many different skin tones. Magenta (hot pink, indigo, etc.) 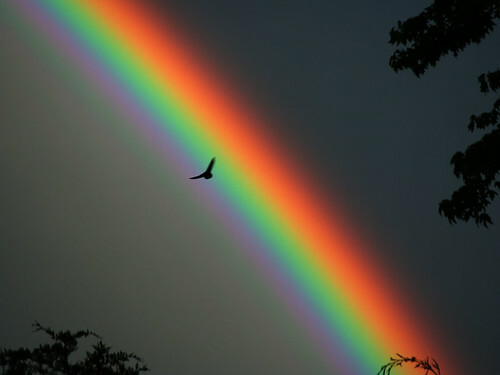 is not a natural color, even though it's on the visible light spectrum. Red/Blue/Yellow can not make this color at all. Technically, it's not even a color, although it's "visible." (Technically, our brain makes up the color; "percieves it," but we don't naturally see it). It's generally more stylistic and artistic to limit your palette to a set amount of colors instead of using everything you can. Examples: Warm colors only, cool colors only, the use of complementary colors, the use of analogous colors, earth tones, skin tones, Using only Primary colors; Secondary colors; tertiary colors, the use of only pure colors, the list goes on and on. It depends all on the artist's vision. I hope I helped you understand color a little better today! Thank you for reading! Now apply your knowledge to your future art work! Feel free to ask questions, make comments, etc. Thank for the advice, I have been learning about Tint & opposite colours. (02-29-2012, 12:39 PM)Electric9990 Wrote: Thank for the advice, I have been learning about Tint & opposite colours. Not a problem! Thanks for reading! This is college level Color Theory in a nutshell. It's basically all of this, without all of the exercises and projects. It's important to understand all of this if you're going to be working with color, and I love to share my knowledge to those who care to listen. It's also one of my best and most familiar subjects. Thanks again! **I can no longer take PokeGen or PokeSAV requests because my NDS Adapter Plus is defective. Great tutorial Pink Leon! It's rebellious, and it is very sweet of you to make this, and will certainly help me with my graphics. Thank you, Zueq! Yes, it is kind of a strange place to post something like this, but I've been seeing a lot of young artists on here, so I thought this might be helpful. Understanding the way color works and how to apply it can be powerful knowledge as an artist. But of course, the best way to learn about color is to experiment with it. Also, it may or may not come naturally to a person. I've seen your graphics, Zueq--If I had to guess, I'd guess that you have experimented with color a lot already. Your work is always vibrant and beautiful.